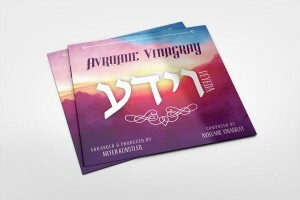 Just in time for the Yomim Noraim comes the Single, “Veyeda” from a fresh voice in Jewish music, Avrumie Vinagray. Avrumie has been entertaining the Klal for years with his sweet yet powerful voice, and he is finally releasing one of his compositions. The depth of the melody digs deep into the Neshama, helping prepare us for upcoming Y’mei Din.